This calming, tranquil design is as pleasing to the eye as it is to the mind. Our cast iron tea pots are fully enameled on the inside and come with a stainless steel basket for your tea leaves. Simply pour boiling water over your leaves, steep until desired tea strength is reached and enjoy! 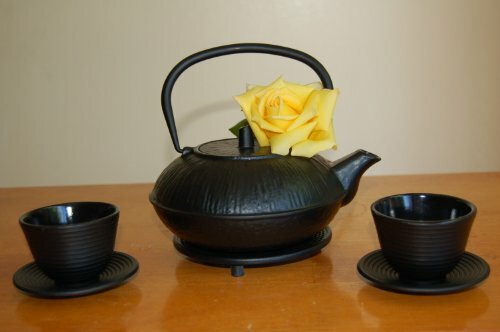 Cast iron teapots are not only beautiful and expressive but also functional. They will keep your tea hot for close to one hour. Will keep your tea hot for close to one hour. If you have any questions about this product by Blue Moon Goods, contact us by completing and submitting the form below. If you are looking for a specif part number, please include it with your message.